ARE THERE REALLY BENEFITS OF PAIN AND SUFFERING? What are the Causes? What is the Purpose? What Can I Learn from the Experience of Others? Benefits of Pain & Suffering? Yes, Believe It Or Not, There Really Are Benefits! There is one very obvious benefit of pain. It keeps us from seriously hurting ourselves. When you touch something hot, you instantly pull away because of pain. If you did not feel the pain, you might burn yourself seriously without realizing it. Pain tells us when we have an illness or injury that needs to be treated. Pain can save our lives in this way. 1- Pain and suffering can help us to learn important lessons in life. Example: Mother eagle forcing her baby out of the nest to teach it to fly. 2- Pain and suffering can bring about creativiy, resourcefulness and courage. Example: Parents who lost a child helping to pass laws or starting organizations to protect other children. Artists and composers sometimes do their greatest work during times of pain or loss. 3- Pain and suffering can help us to comfort others who are going through similar pain. Example: This is the benefit of support groups for various problems. People who have faced the same problems are able to help and encourage others. John and Phyllis Clayton have been able to help others because of their experience with diabetes and with a mentally retarded child. Jim McDoniel has been able to help others because of his experience with a handicapped child. 4- Pain and suffering can help to shape our character. Example: People who have survived as prisoners of war or persecutions often have a strength of character which is admired by others. Gold is refined by the fire which heats it until the impurities come out. 5- Pain and suffering can test us to show what we are made of. Example: The patriarch Abraham was tested; Job, the ancient man of wealth was tested; the apostle Peter was tested; and the early Christians were tested. In all cases the testing showed the weaknesses and the strengths of their faith in God. Products which are sold in the marketplace are put through tests to find their weaknesses and to demonstrate their strengths. Scripture: Genesis 22:1-14 describes the test of Abraham. The entire book of Job tells about Job's test. Matthew 26:69-75 tells about a test where Peter failed and he learned something about himself. Acts 4:1-21 tells about a test in which Peter was victorious and his enemies could see the strength of his faith. The testing of the early Christians is described in various places such as Foxe's Book of Martyrs. In Matthew 7:24-27 Jesus beautifully illustrated the results of testing in a simple story. 6- Pain and suffering can lead to repentance and salvation. Sometimes it takes pain and suffering to turn a person's life around and head it in the right direction. Example: The Israelites who repented in times of persecution in the Old Testament. Saul who became Paul in the New Testament of the Bible. Scripture: Judges 2:11-19 describes the cycle which the Israelites when through as they forsook their God only to be brought back to Him by suffering and then to forsake Him again when times were good. In contrast to that Acts 9:1-16 tells the suffering which lead Saul the persecutor to become Paul the apostle, faithful to his God until his dying breath. 7- Pain and suffering can sometimes help us to trust God. Perhaps we are forced to turn to God because we have no other place to turn. Example: There are numerous people who have made the decision to trust God because of their pain and suffering. 8- Bearing pain and suffering well can be an inspiration to others. 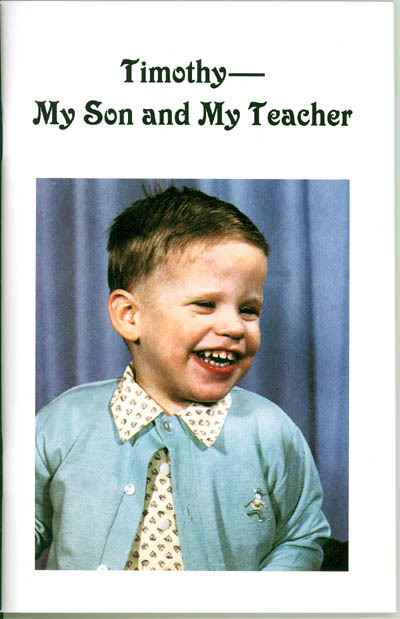 Example: Chet McDoniel was born with no hands, only one stub of an arm and no thighs, but he has been an inspiraton to many as described in the book All He Needs for Heaven. Scripture: The apostle Paul endured his "thorn in the flesh" but was able to take the message of Christ to many areas of the world and write most of the New Testament. 9- Pain and suffering can have a Divine purpose in preparing us for glory. Example: The apostle Paul wrote that our suffering is "slight" and "momentary" compared with "eternal glory." 10- Pain and suffering can prevent us from becoming dangerously proud. 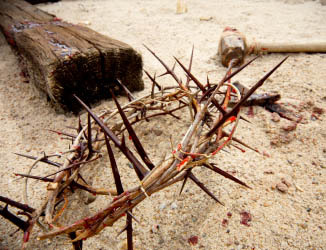 Example: Again Paul said that his "thorn in the flesh" was to keep him from becoming proud and arrogant. 11- Sometimes pain and suffering in the life of one person can result in the advancement of the gospel in the life of another person. Example: I know a family who accepted Christ because of the suffering of one member who died of cancer. The apostle Paul said that his imprisonment helped to advance the gospel. 12- Pain and suffering can allow us to be like Jesus. Example: We are allowed to share in Christ's suffering as we serve the one who suffered on our behalf. WHAT CAN PARENTS LEARN FROM A CHILD WHO HAS SEVERE MENTAL AND PHYSICAL CHALLENGES?